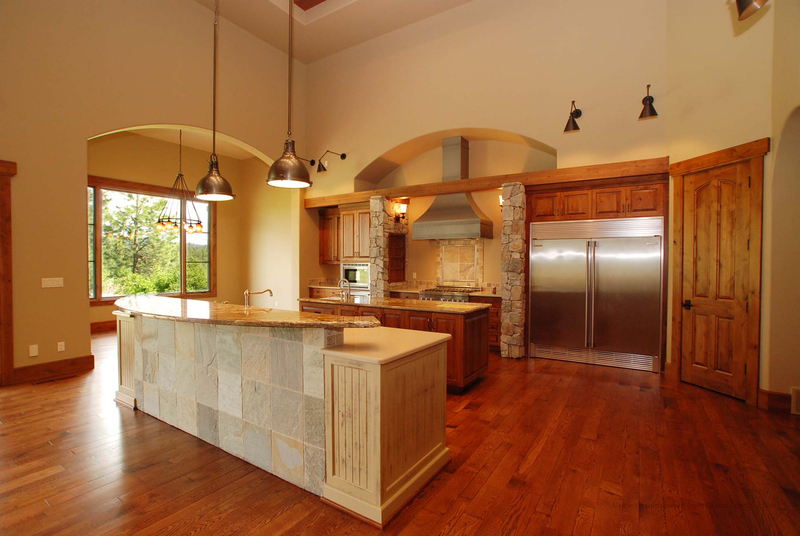 Aside from the beautiful woodwork, the focus of this 5,000+ square foot, 4 bed, 5 bath Gozzer Ranch home built by Matt Fisher, is the spacious living. 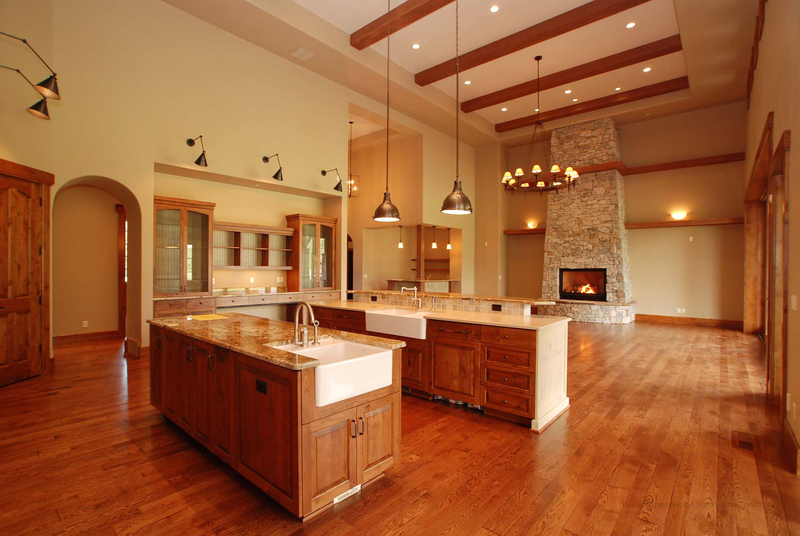 The gourmet kitchen with two islands and great room with floor-to-ceiling rock fireplace share an open, high-ceilinged area perfect for entertaining. In addition, the Master Suite offers plenty of living space with over 800 square feet to call it’s own. 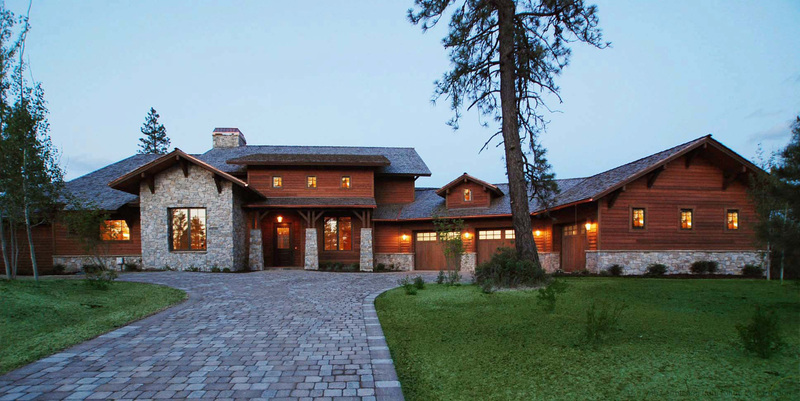 Stonework and timber accents along with the extended paver driveway make for lasting first impressions at this Gozzer Ranch home built by Matt Fisher. 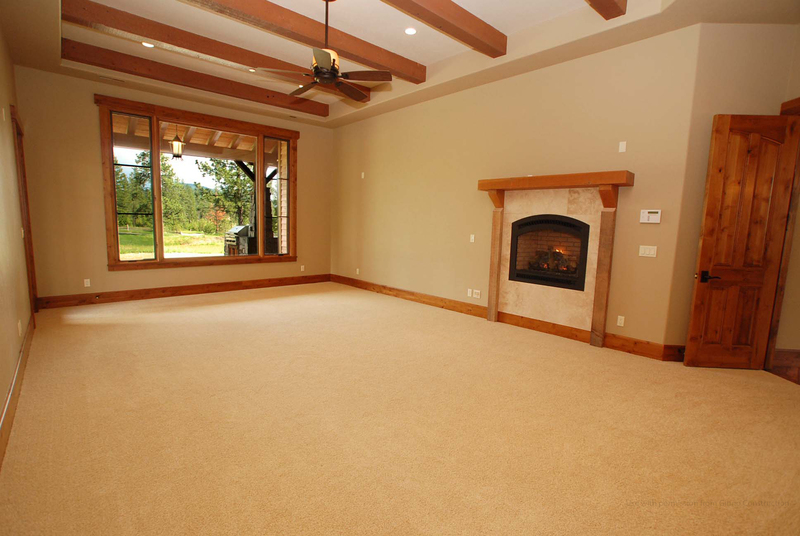 This open floor plan with timber-accented 18′ ceilings and a floor to ceiling rock fireplace includes a wall of windowed doors to the deck overlooking one of Gozzer Ranch’s golf greens. The master suite in this Gozzer Ranch home includes both a fireplace and a private entry onto the large back deck. The large window offers plenty of light to fill the high, timbered-ceilinged space. Overlooking one of the greens at Gozzer Ranch, this spacious, covered deck offers ample room for entertaining. With a built-in gas grill and fireplace, even the winters are cozy on the deck. With dual islands, each with a full-size sink, large gas range/oven with decorative hood, and an industrial-size fridge/freezer, this kitchen is any home chef’s dream! 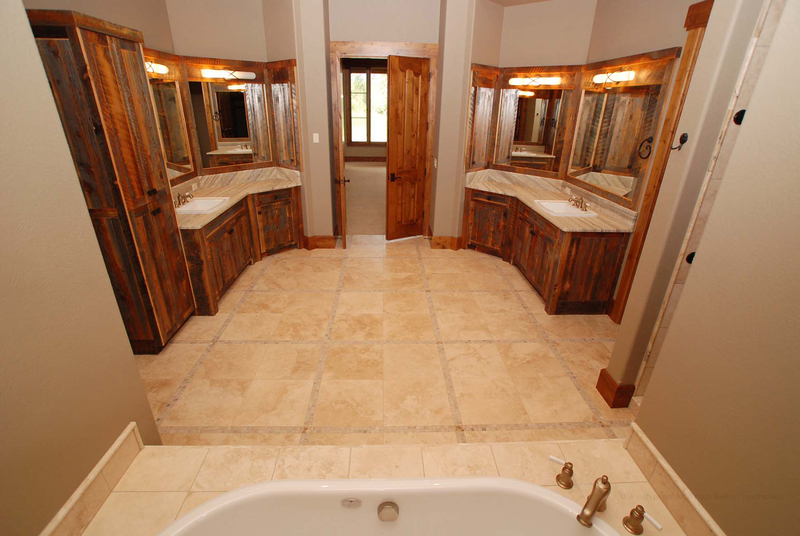 Between the beautifully tiled floors, the reclaimed barn-wood cabinetry and accents and the matching striated granite vanities, it is hard to pick a particular piece to highlight in this spacious master bath. Altogether, the pieces create a warm yet bright and airy space.